IT happened in our midst – an apparent planned and researched triple suicide on the Gold Coast. 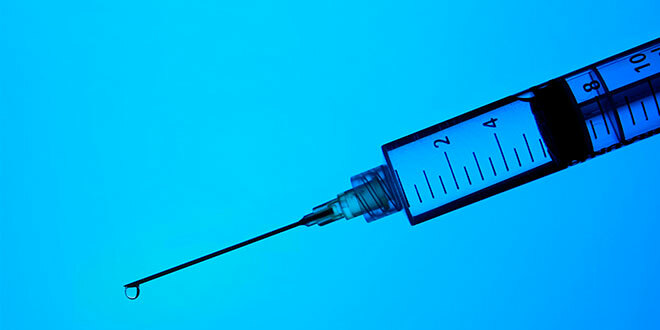 With the push to legalise euthanasia gaining momentum in states across Australia, it’s a chilling end-of-life strategy, with grave implications according to Catholic ethicists. “To choose to limit one’s life – to choose to miss out on life with its blend of joys and sorrows – this is never a reasonable choice,” Queensland priest Fr Kevin McGovern, who until last year was the director of a health ethics centre in Melbourne, said. On June 27, mother Margaret Cummins, 78, and her daughters Wynette and Heather, aged 53 and 54, took their own lives in a luxury residential apartment on Ephraim Island. Police reported the husband of one of the daughters found the women dead after returning to the apartment. He was understandably upset, but not surprised at the discovery. The women were followers of controversial euthanasia advocate Dr Philip Nitschke’s group Exit International, having joined the pro-euthanasia group about six months ago. Dr Nitschke, the man known as Dr Death, confirmed from Amsterdam that he didn’t know them personally, but they had subscribed to the group’s online Peaceful Pill eHandbook, which provides research and information on voluntary euthanasia and assisted suicide. The handbook includes practical information about end-of-life strategies such as over-the-counter and prescription drugs, gases and poisons. Dr Nitschke said the triple suicide pact was unusual – three members had never ended their lives at the same time before – but the “planning and research by the women that took place over a number of months indicated that this was a rational decision”. Each of the women involved was said to have had a diminished quality of life recently. Wynette suffered brain cancer in the 1980s, and Margaret reportedly suffered dementia. “They chose to electively access a peaceful means to end their lives and obviously carried it out very effectively,” Dr Nitschke said. “In Victoria, euthanasia advocates want “assistance in dying for those with a terminal condition who are in the last few months or years of life,” he said. “This sad story reveals that if euthanasia is ever introduced, it will not remain limited to a small and narrowly defined group. 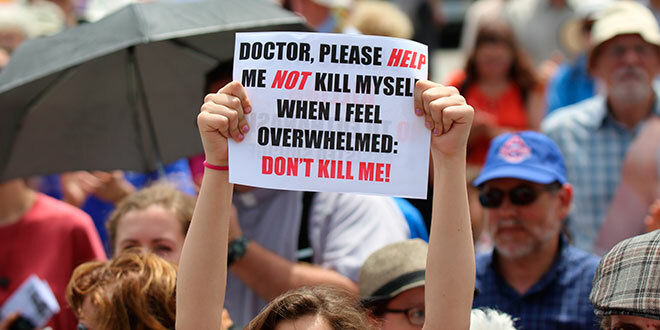 Paul Russell, a Catholic and the executive director of HOPE: Preventing euthanasia and assisted suicide described it as a “marketing ploy” for Dr Nitschke and others to say that people commit suicide “rationally”. “Whereas suicide is generally understood to be characterised by anguish, mental health, loss etcetera, Nitschke’s claims are a dangerous and entirely erroneous ploy for legitimacy,” he said. He said Dr Nitschke would have us believe that changing the law to allow assisted suicide or euthanasia was not so much about pain, but autonomy and self-determination. Just days after the Gold Coast triple suicide, University of Notre Dame Australia bioethics professor Margaret Somerville, delivered an address entitled “End of Life Choices” in which she tackled the same issue, but from the opposite pole, describing euthanasia as an “inevitable and perilous” slippery slope. She set out the alternatives facing society in simple, stark terms – debate on physician-assisted suicide and euthanasia, or PAS-E, involving a conflict between respect for individual autonomy and respect for human life. “Pro-PAS-E advocates give priority to autonomy; anti-PAS-E adherents to respect for life,” she said. “Pro PAS-E argue it is an issue of medical treatments, extensions of palliative care. “Anti PAS-E consider doctors killing patients or helping them kill themselves as a disruption of our societal values. “In the Netherlands, psychiatrist Boudewijn Chabot, a PAS-E advocate, now expresses horror at what is happening in his country. “Chabot has written that ‘legal safeguards for euthanasia are slowly eroding away and that the law no longer protects people with psychiatric conditions and dementia’. “We should think of that in relation to vulnerable Australians. The Australian Law Reform Commission has warned that 4 to14 per cent of elderly Australians are abused. “Financial abuse takes the form of ‘early inheritance syndrome’ — the old person lets another person, often their child, handle their financial assets and they use it for themselves. Professor Somerville described an extreme example of the logical slippery slope unfolding in Canada’s Quebec province. “Dr Yves Robert, registrar of the College of Physicians and Surgeons of Quebec (the medical licensing authority), was an instigator of the movement to legalise euthanasia,” she said. “He regarded it as good palliative care — a continuum of good end-of-life care, which included euthanasia. “As in the Australian debate, pro-euthanasia advocates claimed it would be rarely used and estimated about 100 cases a year in Quebec. “In the first year, there were more than 400 cases in Quebec and almost 1500 in Canada. “Some Quebec cases breached the legal requirements – in one, the patient probably had just a urinary infection. “But none of this seemed to raise any questions for the College or, I assume, Robert, about whether legalising euthanasia had been a good idea. “Here’s what has done so for him. There are now calls to have ‘death on demand’ declared a constitutional right. Considering this example, does the latest Gold Coast suicide represent a step towards “Death a la carte”; that is, there’s a menu of options for choosing how to die? Dr Nitschke rejects this latest case was one of “death on demand”, but rather, acknowledged the women’s “wisdom in researching the issue so that they could achieved their desired outcome – a peaceful, reliable death”. “I strongly endorse the words of philosopher Thomas Szasz who said: ‘Suicide is a fundamental human right. That does not mean that it is morally desirable. It only means that society does not have the moral right to interfere’,” Dr Nitschke said. Fr McGovern warned against Dr Nitschke’s defence of suicide. “Was this choice reasonable? Certainly not,” he said. “There are big steps and there are little steps. The big step is to say that it’s acceptable to help someone to kill themselves. “If we take this big step, there will be many little steps which will extend this ‘assistance’ to more and more people. “The only way to avoid this is not to take the big step in the first place.